Video content is being used by brands and startups in digital marketing more and more to increase awareness create interest about their products and services. The success of content is determined by how valuable and shareable it is and how well it reached the right people. Before creating video content for brands and startups, there is a need to focus on few things. The first thing to do while creating video content for brands and startups is to define the goal of the video marketing strategy. Based on the goals and expectations, make different versions of the videos and use different ways to take them to the people. Include a call to action in the video in accordance with the goals and expectations of the video content. These can include asking the visitors to share the video, asking them to sign up, refer a friend, make a purchase, download or subscribe. Ask the audience of television ads to watch your online videos which can divert them to your official sales page which can result in conversions. 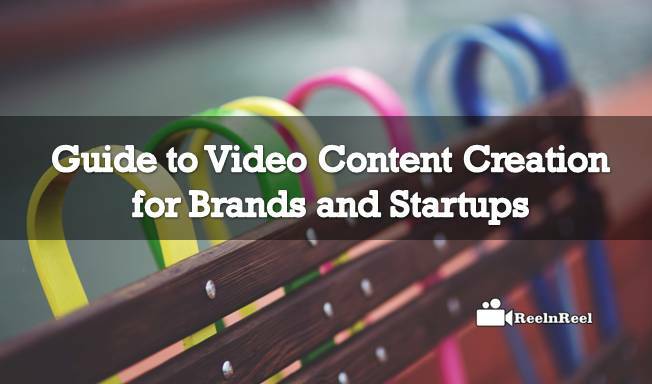 Decide what king of videos you want to create for the brand or for the startup. Are they about the brand, for promotion, about the product or explainer videos? Whatever be the kind of videos, make them appealing and entertaining. Let the videos be funny and make people launch. Another way to get attention for the brand or the startup is to stir up controversy. Create video content high in quality for brands and startups. Take the support of influencers, social media, publications and blogs to make the branded videos viewable. Have a good strategy for social media marketing. Decide whether the videos will be live on YouTube, your official page or will be shared on Facebook. Use the analytics and feedback to measure the success of videos and if required make some changes to the marketing strategy.